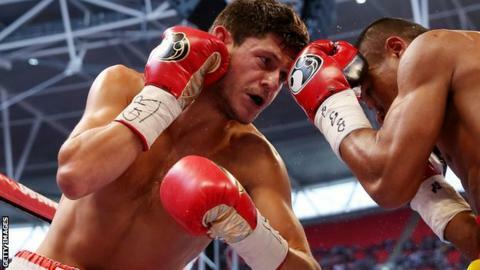 England's Jamie McDonnell retained his WBA bantamweight title with a unanimous points decision in a rematch with Japan's Tomoki Kameda. McDonnell, 29, finished powerfully and had 24-year-old Kameda on the canvas in the final round. The judges scored it 116-111, 115-112, 117-110 at the American Bank Center in Corpus Christi, Texas. The Yorkshireman had won a narrow points decision against Kameda in his second title defence in May. McDonnell, who has now won 27 of his 30 professional contests, told Sky Sports: "Everything went to plan. The fight was easier than the last. I felt in control."